People have been burning candles as a part of spiritual practice for centuries. 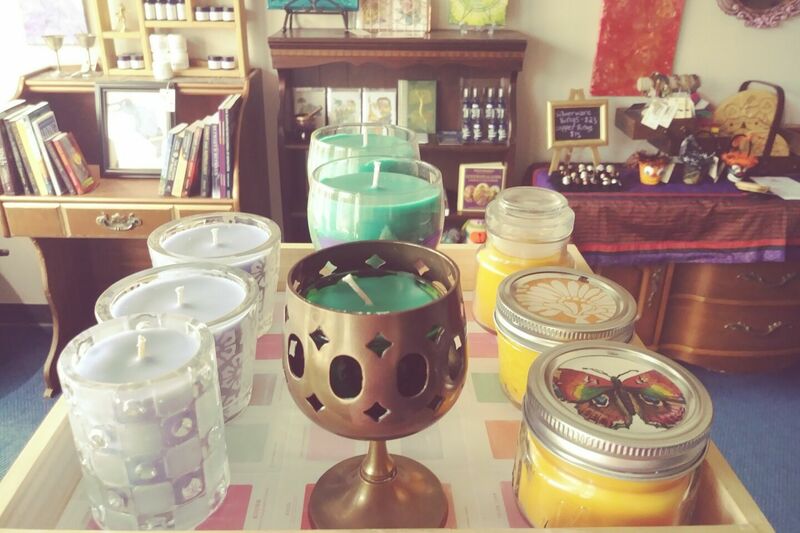 Candle magic works by raising and releasing energy, through visualization, and with focused intent. These skills work together to make successful magic. A spell is a call for change, an action toward a goal, or a positive affirmation or prayer. Doing spell work helps move energy from both inside and around you and focus it in the direction you need it to go. This afternoon we are providing instruction and materials for you to make a spell candle for Success, Health, or Prosperity. You may come with a specific thing in mind or create a candle to bring general success, prosperity, or to invite healing energy to your life. Tickets are $10 and include the materials to make 1 candle; additional candles cost $3 each.